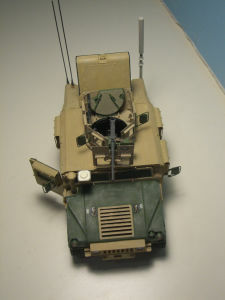 This M1151 model is based on the M1025 Tamiya, upgraded to M1151 using the Legend M1151 conversion kit. 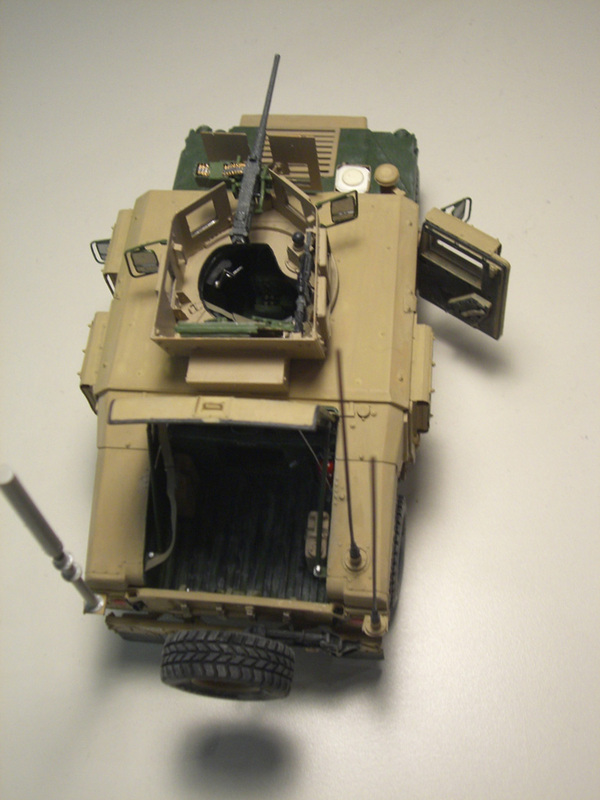 The M1151 Legend conversion kit is really complete: O-GPK turret, Duke ECM antenna, FRAG doors, interiors and many more details. For more info on the Legend kit click here. 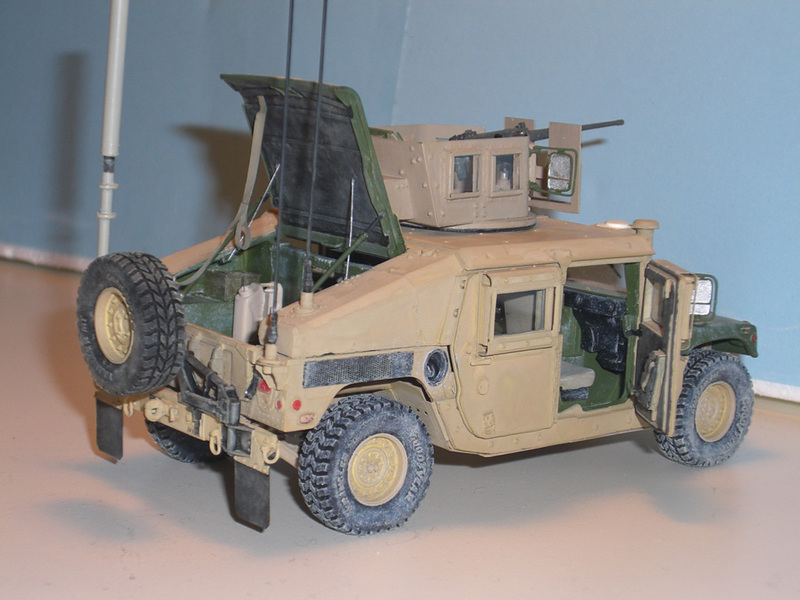 As usual I have found plenty of reference materials in Armorama and also in HMMWV in scale. 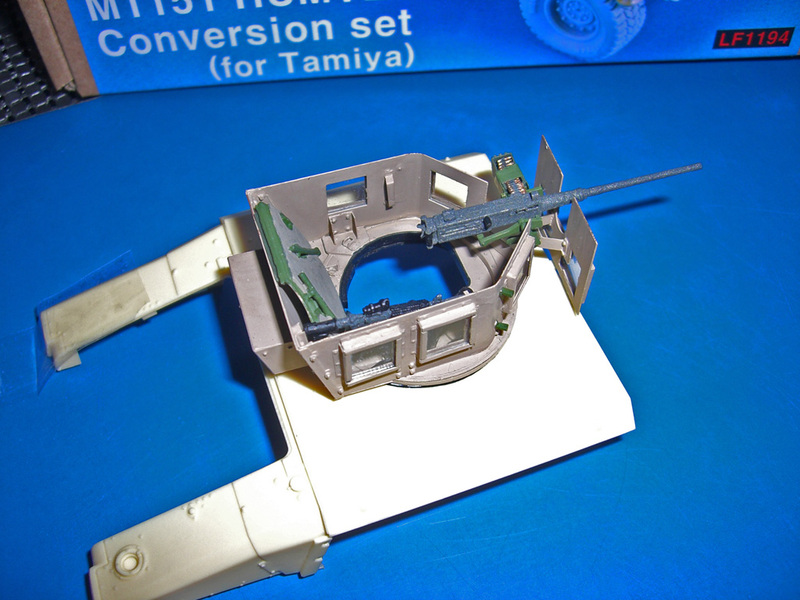 Below the model picture is a construction history and a review of the Legend kit. I have started with the turret where I have added a few missing details: the joystick to control the turret movement, two handles, an M4 with its supports, electric wires. 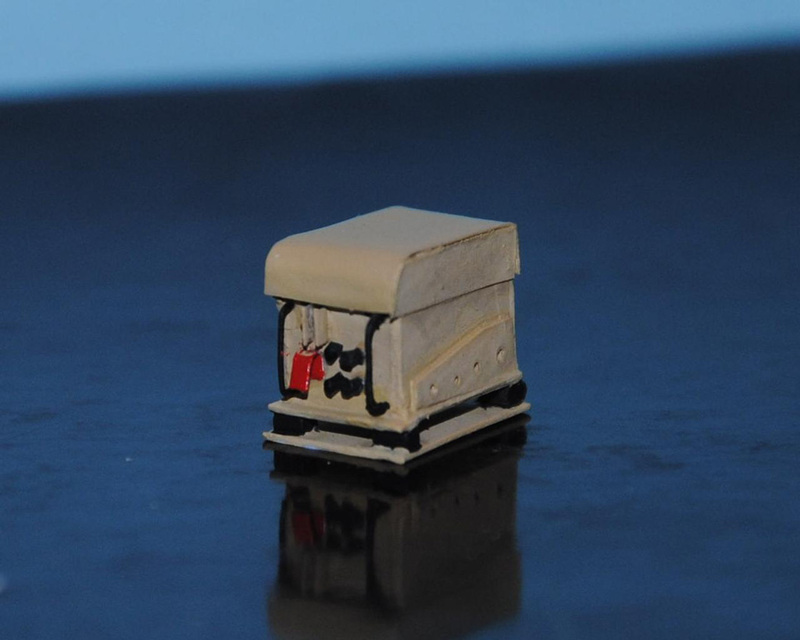 The M2 ammo box support has been scratch built. 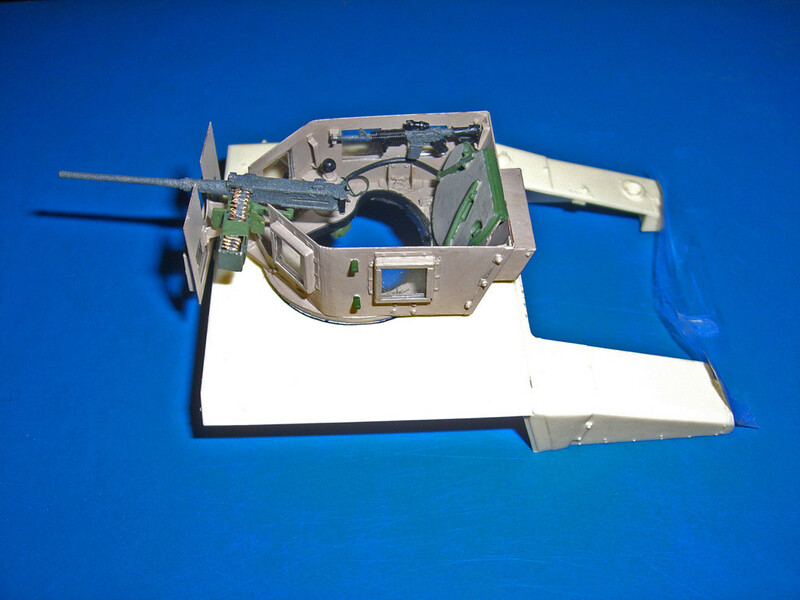 External mirrors will be added at the final assembly of the model. It has been a tough job, I must say. For reference pictures I’ve used the following photo album. 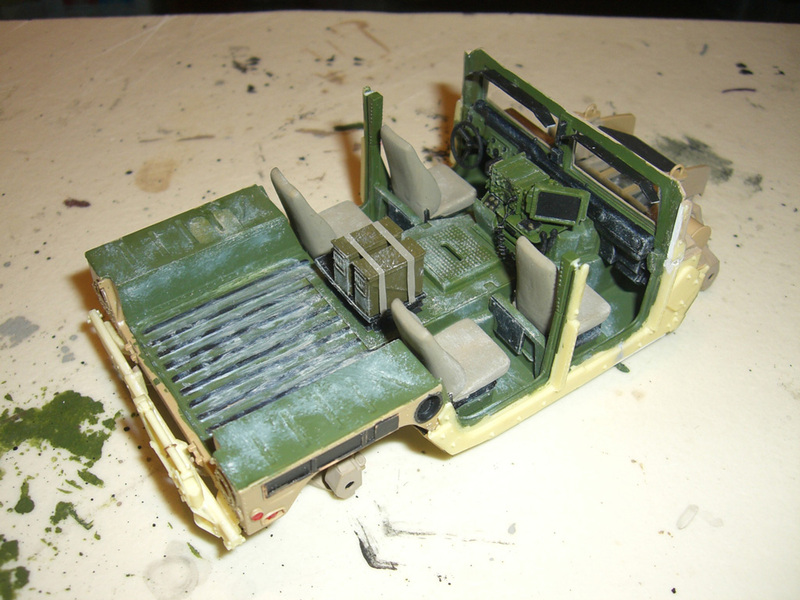 Then I have started the interiors. 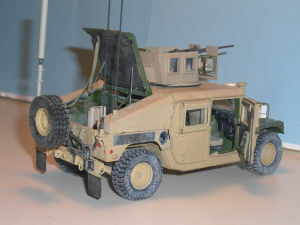 I have scratch built a new radio rack (see drawing below, from this manual in tpub.com) since the one in the kit is not usable when there is a BFT (Blue Force Tracker) system installed. 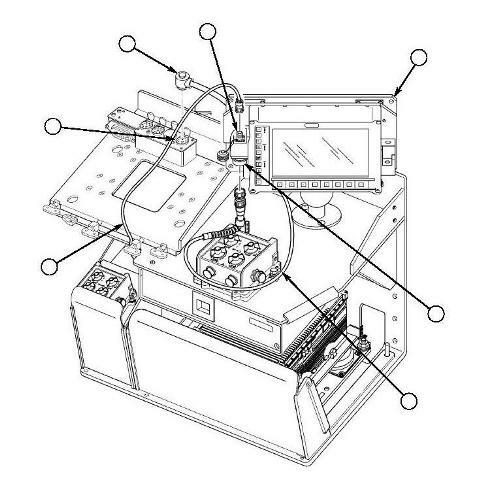 About BFT, the Legend kit misses the system CPU, the box stored in the bottom right of the rack; I have used a slightly modified satcom radio taken from the Pro-Art Models’ kit “US modern radio and satellite communication set”. I have also replaced the Sincgars in the Legend kit with Sincgars taken from Pro-Art Models’ kit “US Radio Set Sincgars” that, in my opinion, are better detailed. 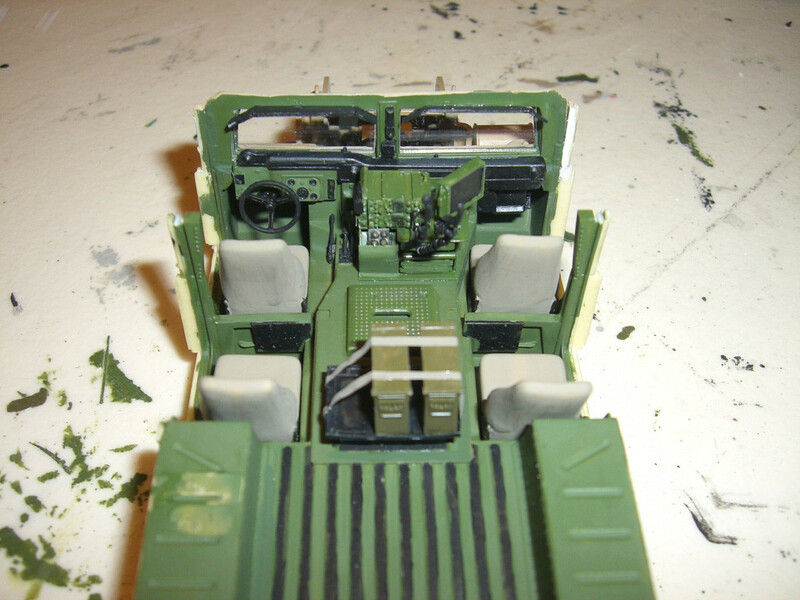 Here are some pictures of the interiors. The wind shield deserves a few words, unluckily not positive. 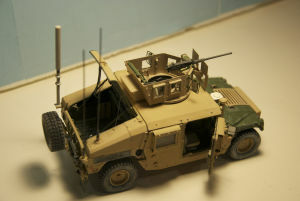 The part that I found in the kit was indeed severely warped; I tried to apply the suggestions found in Armorama to fix similar problems, but the result I achieved wasn’t as good as I hoped. 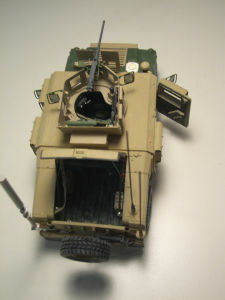 Here below are some pictures of the wind shield before my fixing attempt. 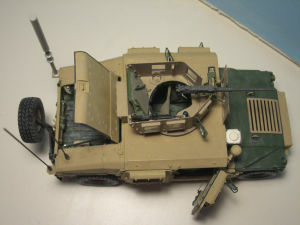 No special action taken here; I have only added a few scratch built details like the gunner’s sling, manual rotation and brake controls and loudspeakers. Assembling the doors, altough including many parts, was smooth, apart from the many rivets to be placed (see a specific note at the end of this page). 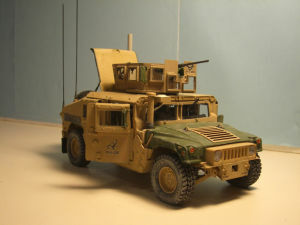 I’ve only applied few decals, the one on the door and the gun shield are from the Echelon Fine Details set “Humvees in OIF & OEF”. Other than displayed in the Legend kit instructions, I’ve attached the BFT antenna on the windshield, like I have seen in many pictures of M1151s in field. I’ve made an attempt in scratch building the CREW Duke system unit. 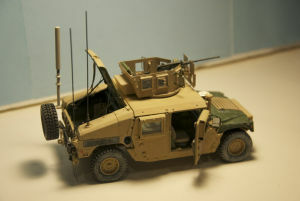 I have used as a reference a couple of picture of the Duke system that I’ve found in the manufacturer’s (SRCTec) web site, and here it is the result. 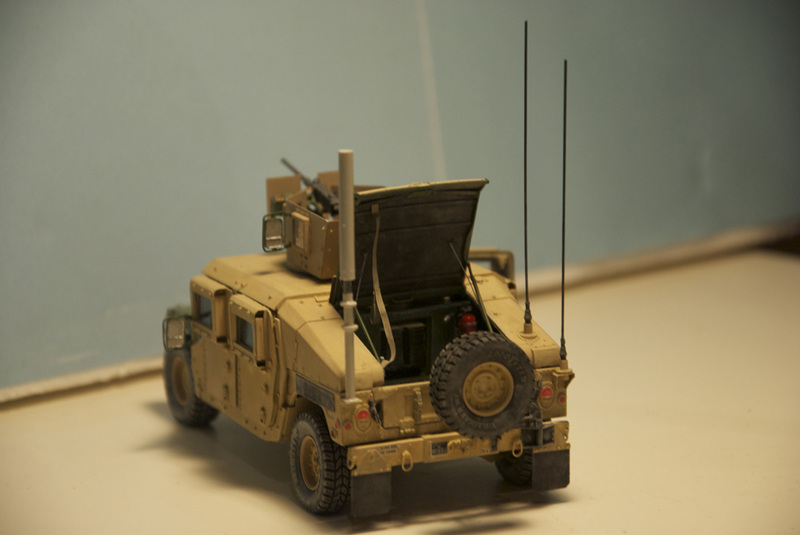 The unit has then been placed in the rear cargo bay. 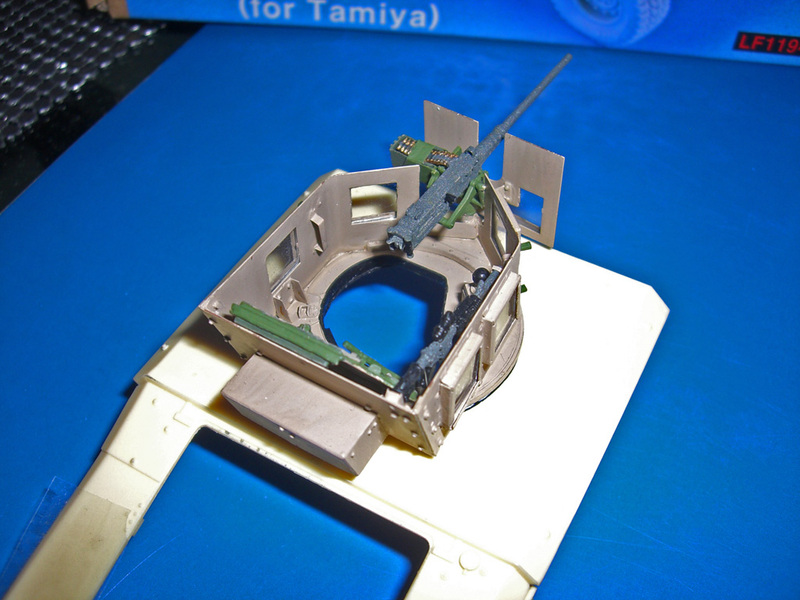 A final remark on the huge amount of rivets and bolts that you have to apply in many different parts of the model. 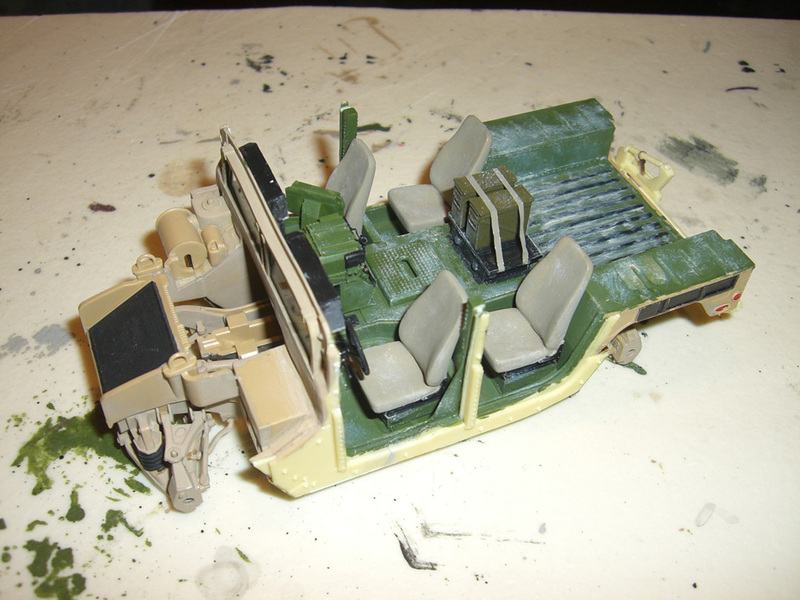 While they make the model ultra detailed and realistic, they have been my nightmare, especially D, E and F parts. 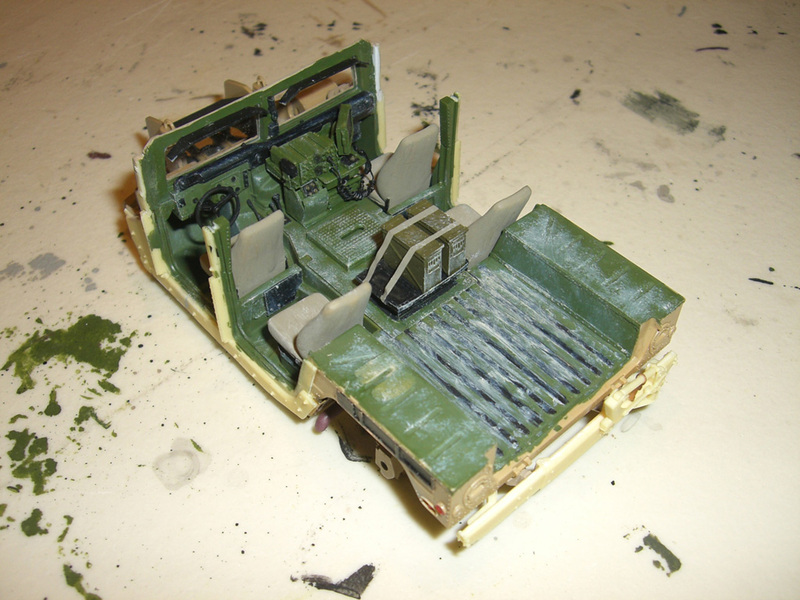 I can’t remember how many rivets I have lost on the workbench or falling on the ground. It has been a tough challenge but at the end I won it. Maybe I don’t know the best tecnique to apply those things; suggestions are more than welcome. 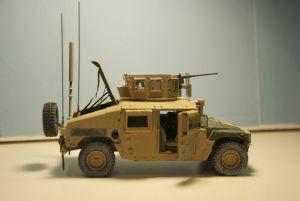 Model completed in December 2010.